Even in the digital age, the most influential form of campaigning in the American conservative movement is direct mail. As with any form of campaigning, however, it costs money, and direct mail is one of the most expensive campaign costs. What you might find surprising is that, while technology is critical, direct mail is often the largest source for campaign fundraising. After Barry Goldwater lost to Lyndon Johnson in 1964, Richard Viguerie went to the county clerk’s office and received a list of the individuals that gave $50 or more to Goldwater’s campaign. He then wrote to those people, asking them to contribute to conservative causes. Thanks to this effort, the National Rifle Association, The Conservative Caucus, the National Right to Work Legal Defense Foundation, Human Events, and several dozen others were founded. 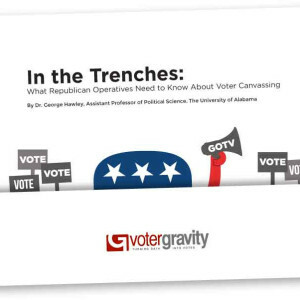 Studies show that for every 200 pieces of nonpartisan, issue-based mail, you will see an additional one voter turnout in the election, yet partisan or party affiliated mail don’t turn out a single extra voter. Studies have also shown that if you list the voting records of significant others or even neighbors, then voter turnout will be even higher due to the fact that it uses social pressure to turn out votes. While partisan mailings with negative messaging drive down voter turnout rates, you can use positive mailings to your advantage. For example, you can release mailings stating your positions in a positive light before your opponent does so in a negative one. The effectiveness of a direct mail campaign can be directly related to just how accurate their mailing list is. Chances are that your information will be sold to other conservative, like-minded organizations hoping that you will donate to them. While it has been proven that direct mailings might not have an effect on turning out voters, it can help persuade undecided voters.